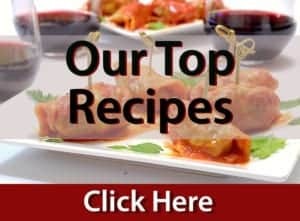 Today’s Platter Talk Post comes to you from Bowl Me Over, the delicious site that features Soups, Stews, and (Most) Things in a Bowl! Roasted Asparagus Soup from Bowl Me Over – To me Asparagus Soup screams springtime and since spring is right around the corner….it’s time to make some soup! This is a very easy soup, takes a bit of time but it’s totally worth it. And because asparagus has so many amazing health benefits, it’s definitely a vegetable you’ll want to work into your diet more often. In addition to lots of great fiber, vitamins and minerals it has great detoxifying abilities too! Asparagus, love it or hate it – or somewhere in between, there is no denying that this rite of spring vegetable is downright good for you. 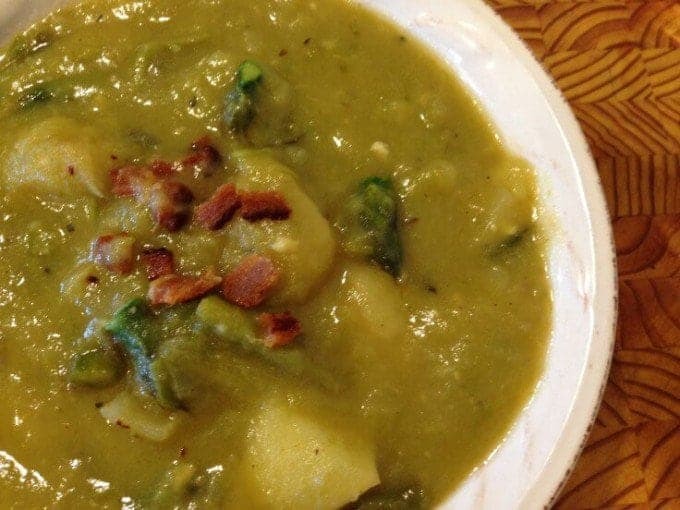 This roasted asparagus soup brought to us by Bowl Me Over, features hearty Youkon Gold potatoes, savory bacon, creamy Parmesan cheese, chicken broth, and of course asparagus. Do yourself a favor and try this wonderful bowl of goodness today. It’s sure to make an asparagus believer out of anyone! Asparagus is a brain booster. Asparagus is a natural diuretic. Roast, grill, stir fry your asparagus, or try it in a soup. This hearty Roasted Asparagus Soup is simple, affordable and full of health and nutrition. Give it a try today; you’ve got nothing to lose but some great flavor and health! Want to keep it vegetarian? 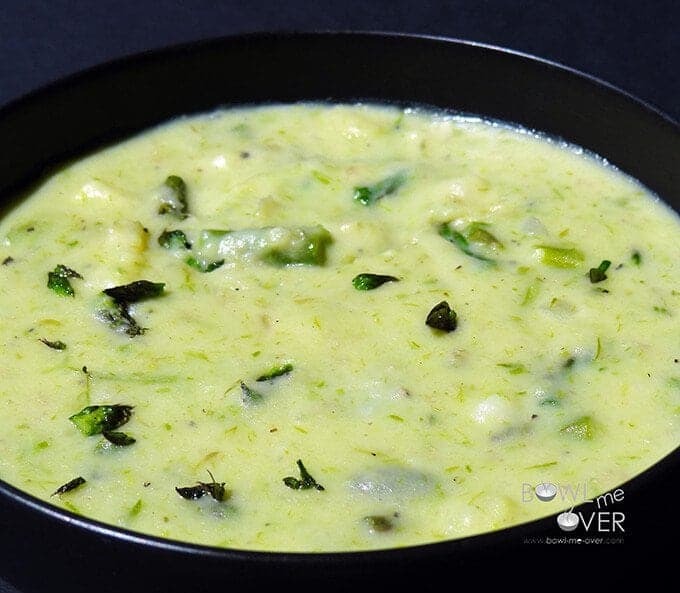 – I’ve got you covered, click on this link for my version of Vegetarian Asparagus Soup! You’ll have this soup on your table in just 30 minutes! Get the full recipe here, from Bowl Me Over! I love asparagus but have never considered making it into a soup. Sounds tasty! Thanks for sharing! This is such an interesting soup – nothing screams spring than asparagus does! Must try soon! Hmm, I’ve never had asparagus soup before. This looks yummy, I think I need to try it! I love this fresh asparagus soup recipe. I can’t wait to give it a try. What a great soup! Must try. Roasted Asparagus Soup is one of my favorites and I wanted to thank you for sharing my recipe for this yummy soup! 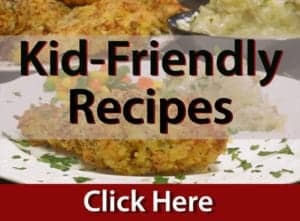 Thanks for the great recipe, Debra! We look forward to more tasty things from you!